Mr. Burke focuses his practice on complex commercial litigation and estate and trust litigation. This includes trial and appellate work in federal, state and international courts. He regularly presents matters before alternative dispute resolution panels and frequently lectures on trial tactics, practice, and procedure. He has appeared before the United States Court of Appeals in both the Third and Sixth Circuits. Prior to joining MacElree Harvey, Bob was a partner at Blank Rome, a large law firm in Philadelphia, where he worked for fourteen years. Before that, he was associated with a large firm in Northern New Jersey for five years. Following law school, Bob clerked for a Federal District Court Judge in the District of New Jersey. Successful resolution of Orphans’ Court dispute over control of charitable organization. Obtained verdict successfully overturning last will and testament arising out of undue influence. Obtained injunctive relief to protect client from theft of valuable trade secrets. Obtained $13.5 million verdict for estate of child killed in fire caused by defective product. Representation of foreign government regarding protection of assets in United States and over 30 foreign jurisdictions. Successful resolution of international dispute relating to distribution of life insurance proceeds in excess of $10 million. Represented major technology firm in the resolution of contentious shareholder litigation. What is a Common Mistake Clients Make? I have known Mr. Burke for several years and have sought counsel from him many times. He is an excellent legal advisor and has provided us with great service on multiple occasions on both a personal and professional level. 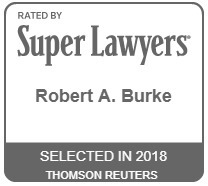 I would highly recommend Mr. Burke and his associated law firm to any one person or company who is looking for a dependable and trustworthy source for legal matters. Thank you for this opportunity to share feedback.